Saturday June 3rd – A Great selection of my favourite pieces of Art by Banksy / Damien Hirst & others used for Records. As many of you will know, last year I was instrumental in arranging for a complete collection of privately owned Banksy Record Cover Artwork to be exhibited at the largest Banksy show to date in Rome at the Fondazione Terzo Pilastro. Most of the signed prints and originals on display had been shown before, yet never all the record covers together. The Italian Bank, who were behind the foundation, usually would create a detailed catalogue of the displayed works, which should have included the records but unfortunately this has still not been produced. In light of this, I have been compelled to put on the “Banksy: On Record” show at Brandler Galleries opening this Saturday 3rd June 2017 10am-5pm. It will run until the end of July. This will not only include the incredible record selection, but also several Banksy originals including “Britannia”, which has not been seen by the public since the Bristol show. Along with a few other favourites: My Dog Sighs, Damien Hirst, SHERLOCK and Yves Klein. A Damien Hirst Spin Painting on a large box lid sold at a Phillips Sale in Hong Kong this week for £56,170 (link here); the one in the show this coming Saturday is for sale at £45,000. 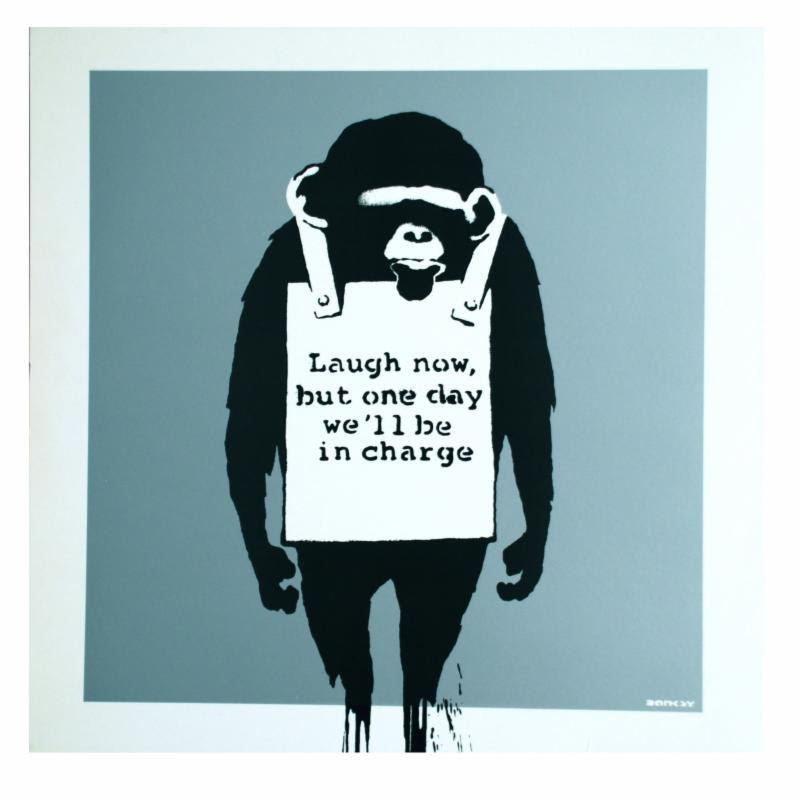 With Banksy works starting at £425 and Damien Hirsts from £95, you may want to come and see this amazing artwork for yourself. So come along Saturday and have a drink with us with some great art .